A mattress is for obvious reasons is prone to get dirty most of the times. Usually mattresses requires not much maintenance, because the manufactures have kept the amount of wear and tear it will go through. But when you purchase a used mattress, or residue or urine comes into. But you need to regularly disinfect them if you have babies or love general hygiene. You shall also deep mattress cleaning every two to three months. You can use vinegar an easily available product to deep clean it. 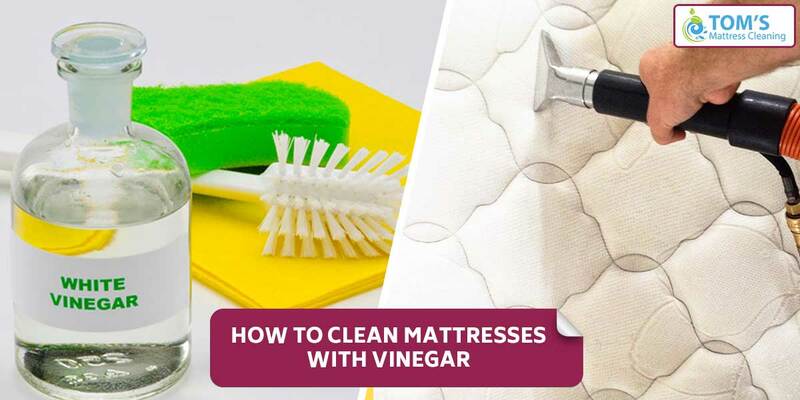 Here is how to clean mattresses with vinegar in 5 simple steps. Get a spray bottle, fill the bottle with pure white vinegar, and close the spray bottle. Now, spray the white vinegar all over the mattress, and let it stay for a while. The vinegar because of its constituents will naturally disinfect the mattress. Spray any stains, especially urine stains, with a heavy coat of the vinegar until the area of the mattress is saturated. Now add another element. Sprinkle a heavy coat of baking soda onto the mattress stain now let this sit overnight. Make sure that no one walks on the carpet the entire night. Vacuum your mattress the next morning to remove the vinegar and baking soda mixture. The white vinegar will kill bacteria and also pull out odor, while the baking soda will absorb all the excess moisture from the mattress. If you do not want to go through all this hassle, hire mattress cleaning melbourne service providers. Call us on 1300 068 194 or Email us on info@tomscleaning.com.au.